‘The Best of Marisa Monte’ airs daily on our streaming Station from 11-14-18 through 11-20-18 Monday-Friday at 7 am, 3 pm, 6 pm and midnight Central Time (US). Weekends, too. It’s official: There’s already more snow covering more of the country than last year; ditto for the cold and below normal temps… and we haven’t even reached Thanksgiving! 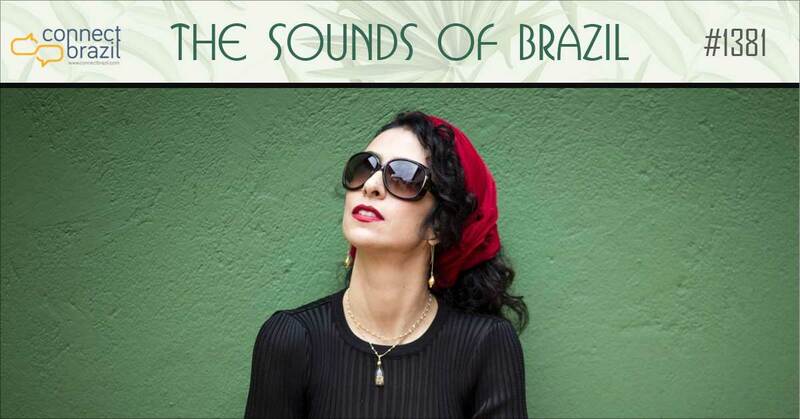 Well, the warmth of Brazilian Jazz will push all of our weather worries aside with a ‘best of’ show for Brazil’s greatest Diva… two full hours of singer Marisa Monte for The Sounds of Brazil this week (even more when you click here!). Join us for The Sunday Brazilian Brunch: Perfect for smoothing out the bumps of a busy week. Three full hours every Sunday beginning at 5 am Central, and then again at 9 am, 2 pm and 8 pm. No app needed when you click the ‘play’ arrow at the bottom of every page at Connectbrazil.com. This Sunday, I’ll feature two of our Sunday Brunch vocal favorites: singers Celso Fonseca and Jane Duboc both celebrate birthdays this week. Our Christmas programming begins on Thanksgiving Day, which also marks the beginning of our streaming station’s fifth year. Plus, you’re just a click away from all ten of our streaming channels including our ‘Brazilian Christmas’ channel, too. Always Live Always Free. Happy holidays when you click the ‘Streaming Music’ tab at the top of any page at Connectbrazil.com! Eliane Elias brought down the house at City Winery Chicago on Tuesday: kicking off a seven-month US Concert Tour. I’ve written about what inspires Eliane Elias, her stunning career and where she’ll be playing in the days, weeks and months ahead! Learn more about Eliane Elias and her 2018-2019 US Concert Tour.